Have you ever woke up in the morning and thought to yourself, “Wow, I slept great last night!” I can recall all the nights when I feel rested in the mornings because they seem so rare. You can go to bed at the same time every night and still have better rest on some days than others. I don’t know about you, but this is an issue that can affect you throughout the remainder of the day. And getting bad sleep in the evenings can be cyclical and hard to get back on track with the sound sleep you desire. After many annoyingly bad nights of sleep, I can happily say, that feeling of getting enough sleep the next morning is no longer a once-in-a-while thing for me. 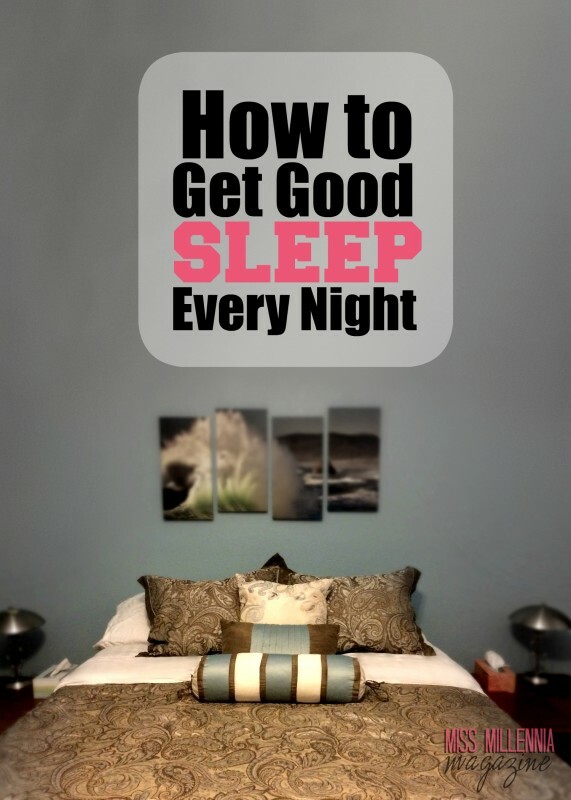 I want to share my secrets on getting good sleep every night. Before we get into all the things you can start doing to sleep better, let’s first discuss all the things you need to stop doing to sleep better. If you have restless nights, there is a great possibility that you are committing one of these good sleep laws. If you are in bed under the covers tweeting, cut it out. The same goes for laptops, tablets, and televisions. The blue light coming from those screens affect your circadian rhythm and makes your body believe it is still daytime. Give your body an opportunity to wind down by cutting all the screens at least 30 minutes before bedtime. If you are an evening coffee drinker, it may be worthwhile to switch to decaf or tea in the evenings instead. Caffeine wakes you up and sometimes it can last in your system longer than you may realize. Exercise has similar effects on the body as caffeine. It wakes you up and helps you focus on a task at hand, but it does not do you any favors in regards to sleep. If you exercise earlier in the day, however, that helps with you sleeping better in the evening. I commit this one on occasion until my boyfriend Chris gives me the side-eye when he is trying to sleep. The problem with working in bed is not only an issue of your partner in bed but also an issue in regards to stress. If you are stressing about a deadline for work right before bed, that stress is not going to jus go away just because you are going to bed. Chances are, you will continue to think about that task all night, or until you get up and write out a to-do list or something. Get your work done, before you get in bed to stop this vicious stress cycle. Now that we’ve got the bad things out-of-the-way let’s talk about what you need to start doing to get better rest. I know a bedtime sounds so elementary. What are you a toddler? Well, let me bring something to mind for you. Do you remember how good sleep used to be as a kid? It was awesome. Not to mention napping was something you once did as a pro. You could learn a thing or two from your younger self. Make a bedtime and a wake time and stick to it. After following a regular sleep schedule for only 1 week, you will find yourself naturally getting tired at the same times each night, and waking up at the same times even without an alarm clock. Just make sure you set your bed and wake times, so you are getting enough hours of rest. This is such a simple task, and you will notice the difference taking a bath at night will do for you. Let the warmth of the shower or bath put you in a sleepy mood and get right to bed after. You’ll sleep like a newborn. Just go with it and try not to do any of the bad stuff I mentioned above after you’ve already showered for the evening. If you do not know what I mean by sleep style, let me explain it to you. You could be a side sleeper, back sleeper, or belly/face sleeper. Based on how you sleep, and the level of firmness you like in your bed could mean the difference between years of awesome sleep and horrible sleep. Know what type of sleeper you are and pick a mattress that fits. I am a fan of memory foam all day and ever since I slept on a memory foam mattress, there was no turning back. I am a side sleeper with an affinity for a firmer bed, so I knew when I ordered the Sleep Innovations TAYLOR 12 Inch Gel Memory Foam Mattress to replace my old memory foam mattress. It is so nice not dealing with springs in a mattress, but we had to upgrade to better foam quality. 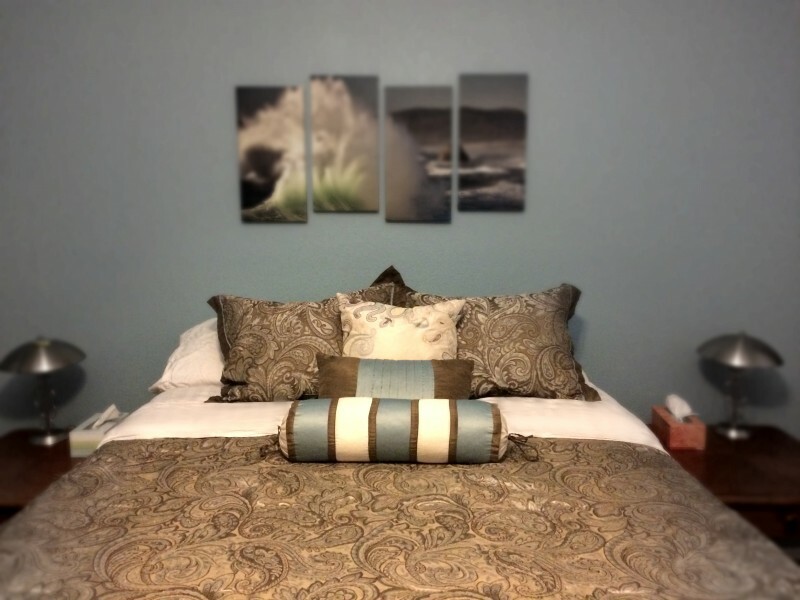 This mattress has 2″ gel infused memory foam to help keep you cool in the evening. 2″ channel foam for airflow and 8″ of support foam. When I first received the mattress, I have to admit that it was a little uncomfortable. It is about two inches thicker than our last bed and was VERY firm. I like firm mattresses, but this was way firm. My boyfriend ensured me that was because I was used to sleeping on our last bed that was pretty worn, and I had to adjust to it and break this one in a little more. By night two, I was sleeping like a baby. I slept so well; I woke up wondering where I was in the morning! This mattress is excellent, and I will tell you how you can win one for yourself in a little bit. 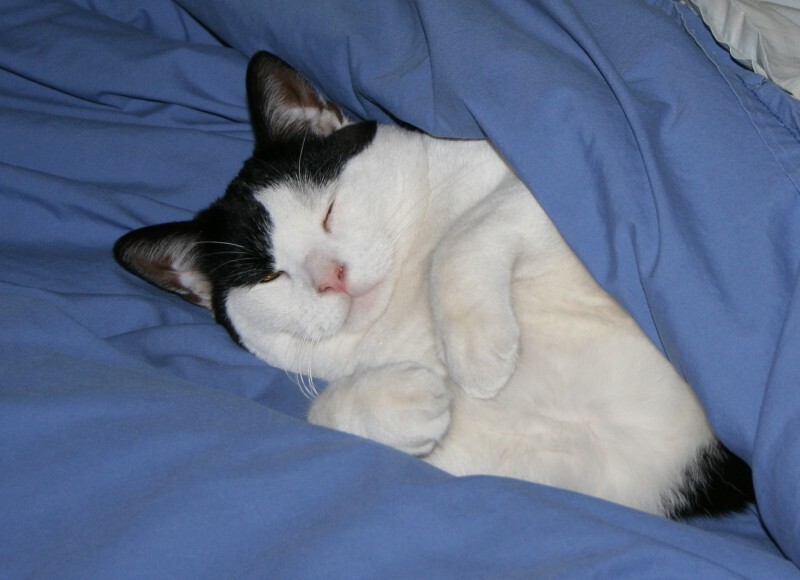 I mentioned you should cut the screens, so find something to do in bed to help you relax. For some, this means doing some stretching, reading, or even doing a little journaling. But whatever you do it should be done in or close to the bed, and should help not hinder you winding down for the night. Taking drugs before bed should be if everything else happens to fail. But Melatonin is okay since it is a natural supplement, so I am going to recommend. Take one before bed and wait for it to do its magic. Good sleep can be accomplished! But just like anything worth having you have to work at and make sure you have the right tools in hand. You could win a Sleep Innovations Mattress of your very own! Simply use the #SINoPlaceLikeHome hashtag on Facebook, Twitter or Instagram between 11/15/15 and 12/31/15 for a chance to win one of five Sleep Innovations Mattresses or other prizes. Winners must follow Sleep Innovations accounts on the corresponding social media platform to qualify. Winners will be messaged directly by Sleep Innovations team on the corresponding social media platform. Winners must respond with shipping address to Sleep Innovations team within 24 hours to qualify. * For every use of the #SINoPlaceLikeHome hashtag on Facebook, Twitter and Instagram between 11/15/15 and 12/31/15, Sleep Innovations will donate $1 to Stand Up for Kids’ health and wellness program, which provides medical and well-being services to homeless youth across the country, up to $5,000. Thank you Sleep Innovations for sponsoring this conversation. Previous Post: « Let’s Celebrate You this Holiday Season!